b) Information required to post comments. Email addresses provided in appropriate fields will not be disclosed to third party except when required by law. We can not protect your data if you enter it in fields designated for public display like forum posts or comment posts text. how-to-uninstall-program.com might use session cookies to allow you access to specific features of the site that requires being logged in (e.g. forum). b) Google Adsense/DFP and Kontera for displaying advertisements through networks. c) Affiliate networks to attribute software downloads (element5, cleverbridge.com, onenetworkdirect.com,cj.com and some other networks). d) Analytics packages, covered above. Thought there are cases when we can not provide safety for aggregate or personally identifiable information. This statement is about your aggregate information that is left for your responsibility to publicize it or not. We do not take responsibility for information safety and privacy that you post in public on our web site or send it by e-mail to others members of site community. We also are not responsible for illegally disclosed aggregate information from third parties. Note that we can disclose your aggregate information to third parties, but only if we consider this necessary and with conditions that this would be with your knowledge for certain third parties. It may be disclosed for government or juridical institutions if we find it necessary. The security and confidentiality of your information is extremely important to us. We ensure implemented technical, administrative, and physical security measures to protect your information from unauthorized access and improper use. But note that despite our best efforts, no security measures are perfect or impenetrable. In an attempt to provide you with increased value, we may include third party links on our site. how-to-uninstall-program.com expects all linked sites to respect privacy of its users. Be aware, that third parties may have their own privacy and data collection policy. 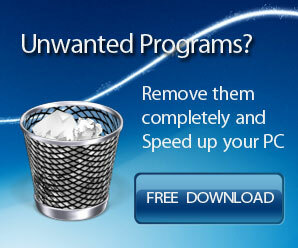 how-to-uninstall-program.com is not responsible for actions or policies of any other site. Some of advertisers might collect information in order to determine if you have seen the advertisement before, or in other ways to improve your experience.